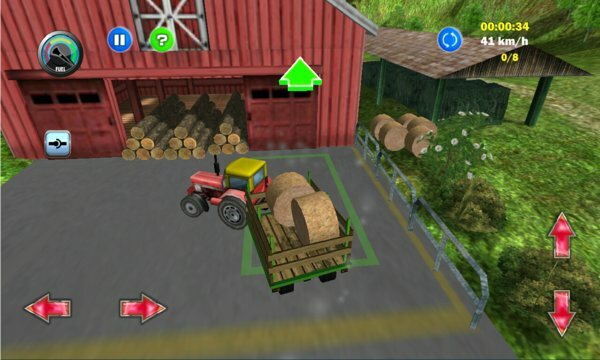 Fulfill your dream and become a tractor driver in this spectacular, FREE 3D game from countryside-specialist Catmoon Productions! Your goal here is to deliver various cargos around a huge farm complex with your tractor – on time, of course! This is our free to play, sandbox mode. Choose your big wheeled baby, select any of the cargos and any of the stages. There are basically no limitations – this is the best place to learn the handling and general feel of these wonderful machines. Your task here is to complete 15 different jobs around the farm. Deliver different cargos on time to important locations like the piggery, the cowshed, the sawmill or the dairy. Life is busy here, so the clock is ticking in this mode: the better time you run, the more rewards you collect! 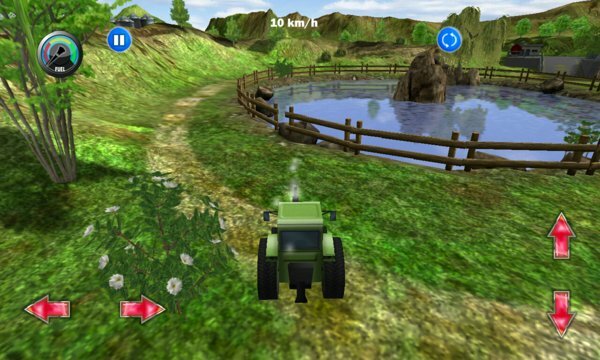 Play TRACTOR and enjoy a healthy competition and a quality time spent at the countryside! Have fun on the farm! - Easy to play, without any serious stress. Enjoy the peacefull countryside feeling when driving your tractors. - 30 different missions with exciting challenges around a big farm complex! - 7 different tractors to unlock! - High quality sound effects for an authentic farm feeling! Please give us a five star rating if you like the game! Don't forget to try out our other cool games !